Home Flower Care	What you did not know about Ecuadorian Roses! 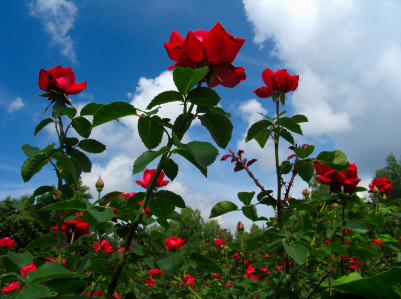 Here are some interesting facts on Premium Ecuadorian roses. Roses are planted in over 3,500 hectares throughout the Andean provinces at an altitude between 2,500 and 3,200 meters above sea level. In 2005, a flower show was held in Russia and Ecuadorian roses received a gold metal for quality surpassing countries such as the U.S., Holland, Germany, and Columbia. Ecuador is a key element in the flower market accounting for the highest percentage of flowers being exported. Countries following Ecuador are Europe consisting of 20% of the market, Russia 14%, and various other countries making up 5%. The U.S. is the largest country that imports Ecuadorian roses. Fiftyflowers.com sells an extensive variety of roses in various sizes (stem and bloom) and colors. We are now approaching fall and will soon be experiencing the even cooler temperatures of the winter months. Our website has been designed to allow customers to easily search for roses by season, color, or type. Shop online now for rose colors that complement the fall season such as dark orange roses and peony rose pink piaget or for winter colors like black magic rose and latin lady red and white rose. Choosing colors for your wedding!